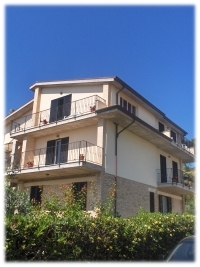 Only 150 m from the sea, easy to get to on foot, in a house tat has just been built in January 2006 in which is separated in three different space that are for rent in order of Bed & Breakfast for guests that love the sea, countryside and hilly panorama. 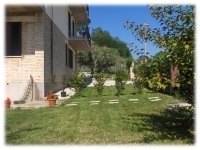 Our Bed & Breakfast is situated along the coast but it's possible to go for a lovely walks that can be found in the middle of the Marchigiana countryside, panorama's including splendid hills full of grape vines, with little travelling you pass through seaside scenery to hilly and green countryside. All this in a place rich in tradition and culture, in which in the summer season it is all big movement of village fairs that offer all the tastes of the antique culture. Offering a very good and lively interest for the fun for everyone at all times.